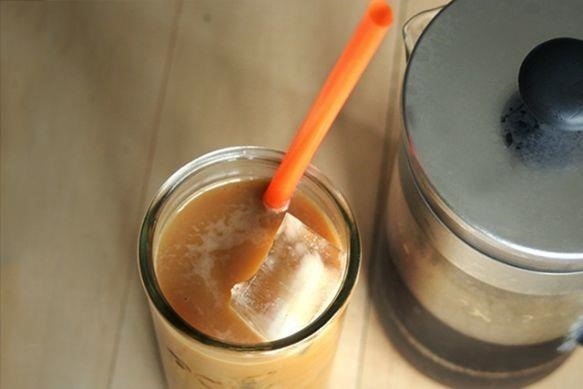 Cold brewing tea and coffee are all the rage, and for good reason: they're idiot-proof. I, personally, am a total dunce at brewing coffee. It either ends up strong enough to peel paint from a car or so weak that you can see through it. Meanwhile, I have friends who inevitably brew green tea to the point where it's painful to drink it. So the beauty of cold-brewed tea and coffee is manifold: because the tea leaves or grounds are left in cold water overnight, your brew has a smooth lusciousness with no risk of that tannic, puckery effect you get from brewing green and oolong teas for too long, while it lacks the harsh astringency that poorly made coffee contains. Plus it's healthier in a couple of key ways (more on that later). Also, need I mention that it's summer? Even though drinking hot beverages can make your body feel cooler, you can outsource that task to the local café. While you're at home, do yourself a favor and avoid turning on the stove at all costs. 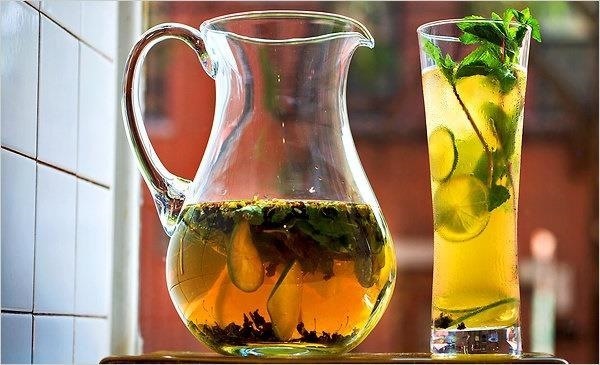 You might want to skip making sun tea, too, since water left to sit in the sun is prone to growing dangerous and gross bacteria. "Hot water also cooks as it extracts, forcing chemical reactions that transform some of the extracted substances into other things, and driving some aroma substances out of the liquid. Cold water, in contrast, extracts more slowly and selectively, produces a simpler extract, and doesn't change the original flavor substances as much." It should also be noted that McGee performed his own taste test and much preferred cold-brewed coffee, writing that it consistently tasted fruitier and more refreshing than its traditionally brewed and double-strength (!) siblings. The Daily Beast points out that cold-brewed coffee has another advantage over hot: hot coffee changes chemically twice, once during the brewing process and once when it cools down. That's why old traditionally-brewed coffee has that burnt, bitter taste when you try and reheat it. A little salt will help with the bitterness, but why even bother? Cold-brewed coffee's taste has more integrity since it doesn't experience those reactions, hence its smoothness. Plus, it's more easily versatile than hot-brewed coffee:, if you want hot coffee, you can brew double- or triple-strength cold brew and then dilute it with hot water. Cold-brewed tea is also a superstar when it comes to health. And while it's true that steeping green tea for three to five minutes in hot water can produce more of certain antioxidants, keep in mind that most tea experts recommend steeping green tea at maximum for one or two minutes, since the longer wait in hot water will render the tea bitter, tannic, and astringent. 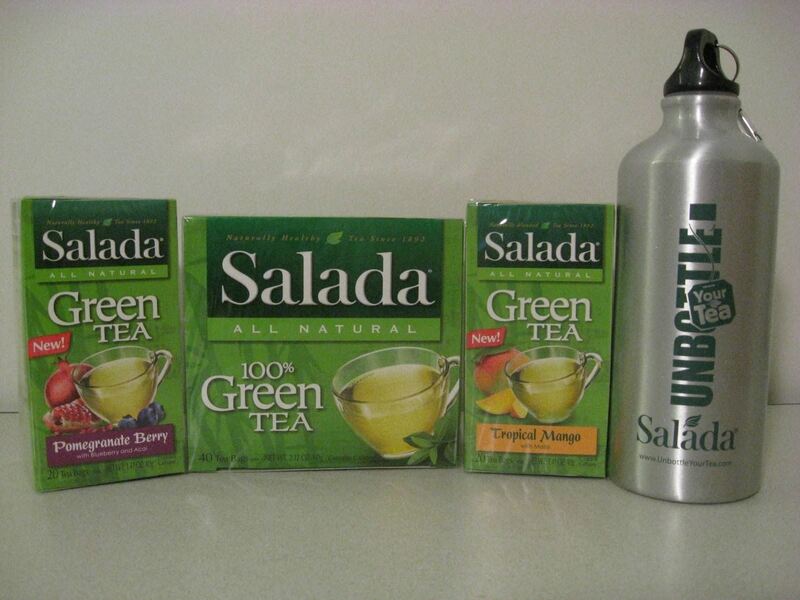 However, Prevention magazine sent several types of tea (bottled, homemade, black, green, fridge-brewed) to a lab and found that the fridge-brewed (aka cold-brewed) green tea came out just as high in antioxidants as the hot version. The same type of tea was used in both tests, too. Prevention hypothesized that the cold-brewed version was agitated before it was left to brew overnight, and since agitation can release more antioxidants, that led to the surprising lab results. 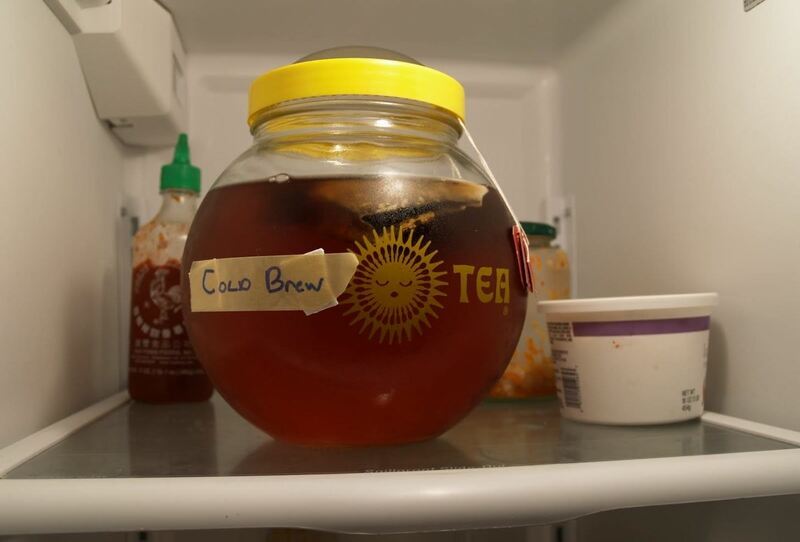 So before you put your cold-brewed tea to rest, maybe you should give the container a good shake or three. Meanwhile, a 2012 study by Professor Jeng-Leun Mau of National Chung Hsing University, Taiwan, showed that cold-brewed green tea that was steeped for 12 hours had a high level of polyphenols (the antioxidants that make green tea so incredibly healthy) that were equal to or greater than tea steeped in hot water for 5 minutes. Overall, the studies indicate that steeping tea for at least 12 hours has better extraction abilities than hot water brewing. The study does warn that results will vary depending on types of tea, how it was packed, etc. Meanwhile, cold-brewed tea had half or two-thirds of the caffeine content of a hot cup of tea. However, drinkers have to learn to appreciate that cold-brewed tea and coffee are different beasts from the hot water versions. Tea, especially, demonstrates more of its delicate and subtle character with the cold-brewing process, in my opinion. As for tea, many good sources have varying methods, whether it's using 1.5 times the amount of tea you'd use normally or one tablespoon of tea for every quart of water. Really, it's up to you. Tea bags are fine if you don't want to deal with loose tea leaves. You can also make your own bags by wrapping the desired amount of loose tea in empty tea bags, cheesecloth, or unbleached muslin. One of my favorite things about cold-brewed tea is that you can play with flavors in a way you can't when you hot brew it. For instance, my favorite mix during the summer is one part Jasmine tea to two parts sencha green tea. In hot weather, the scent of jasmine tea can seem cloying when made traditionally. In the cold version, I get just a trace of the wonderful, rich tang of those beautiful white flowers, which is modulated by the grassy and vegetal notes of the sencha green tea. FInally, remember that whether you're brewing tea or coffee, keep in mind that the better the quality of your ingredients, the better the results. In other words, use filtered water along with top-notch leaves or grounds and top it off with high-quality ice cubes. 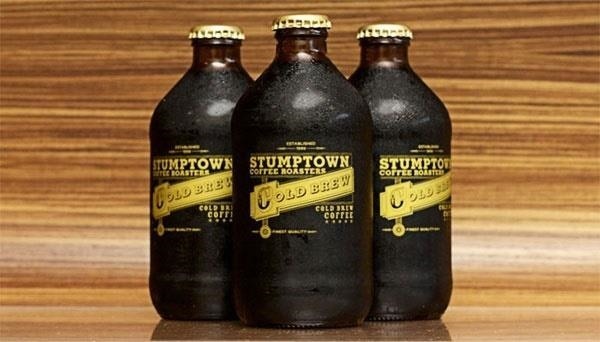 What do you think of cold-brewed beverages? Great article! I've always wondered if it was healthier to cold brew tea/coffee. Thanks for your research. I cold brew coffee and I love it so much better than cold coffee that was hot brewed and cooled down. I'm excited to try cold brewing green tea. I have started playing around with the process of brewing my tea and coffee and that brought me here. I have cold brewing my green tea leaves/coffee beans, in a jar of water and leave it over night (quite inspired by detox water process). The results are amazing and the water tastes refreshing. I was wondering if this a healthy process? though the blog says it is but I would like to understand the health benefits. 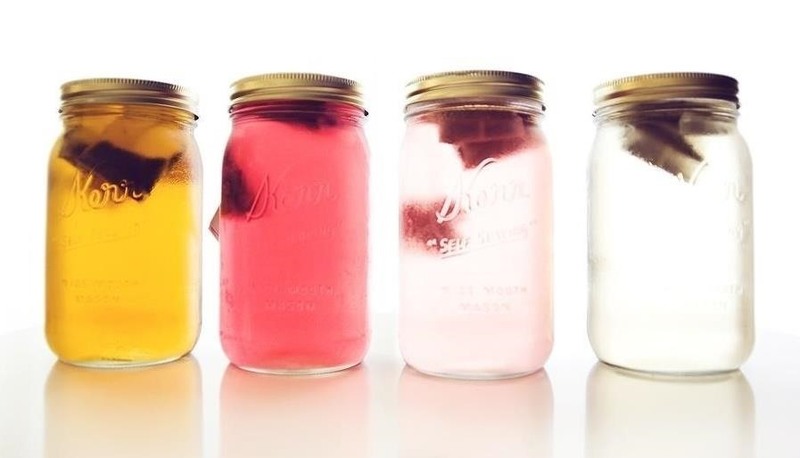 I found this article great as I have recently thought about cold brewing tea myself. Do you know if it is OK to have it warm for a duration of time? (for example you can purchase iced tea warm at supermarkets) I presume this would be fine if I wanted to transport it then chill it later and drink? Cheers!